Let us not pass by the glorious and holy Lawrence, who began to weep when he saw Sixtus his Bishop being led to martyrdom, not because Sixtus was going to suffer, but because he himself was going to remain behind. And so he began to say to him such words as these: Father, whither goest thou without thy son? Holy Priest, dost thou fare hence without a Deacon? It hath never been thy use to offer sacrifice without a minister. What therefore in me hath displeased thee, my Father? Hast thou tried me and found me unworthy to be called thy son? Make trial if I am indeed a useless servant, even I, whom thou didst choose to commit unto me the administration of the cup of the Blood of the Lord; unto me, to whom thou gavest part in the celebration of the Sacraments, dost thou refuse part with thee in thy blood-shedding? When he was asked for the treasures of the Church, he answered that he would show them. The next day he brought the poor. When he was asked where were the treasures which he had promised, he pointed to the poor, and said: ” These are the treasures of the Church.” And in good sooth, he was right. They are treasures indeed, in whom Christ is, and in whom the belief in Christ is. The Apostle saith: ” We have this treasure in earthen vessels.” (2 Cor. iv. 7.) What better treasures hath Christ than they in whom He hath said that He Himself is? For thus is it written: “I was hungry, and ye gave Me meat; I was thirsty, and ye gave Me drink; I was a stranger, and ye took Me in,” and then: ” Inasmuch as ye have done it unto one of the least of these My brethren, ye have done it unto Me.” (Matth. xxv. 35, 40.) These were the treasures which Lawrence showed, and he had the better of his persecutors, for these were treasures which they could not take away. Was it not said to blessed Lawrence: “Thou hadst no right to disperse the riches of the Church, or to sell the vessels which were used for the Sacraments?” If any man is to do thus, it is a thing which must be done with the most upright honesty and the most wise discretion. If any man does it for his own profit, it is surely a sin, but if it be done to help the poor or redeem slaves, it is a work of mercy. For no man can say, why doth the needy live? or, why ought we to ransom slaves? No man can challenge it, if it be done to build the temple of God. No man can rebuke it, if a rule be stretched to bury the remains of the faithful. No man can grieve that the departed find rest in Christian burial-places. For these three objects it is lawful to break, melt down, or sell the vessels of the Church, even after they have been in use. St. Hippolytus, an officer of the body-guard of the emperor Decius, had been born in the darkness of idolatry, but he had become a Christian, with all his household, in consequence of witnessing the many miracles which St. Lawrence performed while in the prison under his charge. He had also been present when the saint, lying on the red-hot gridiron, endured the most terrible tortures. 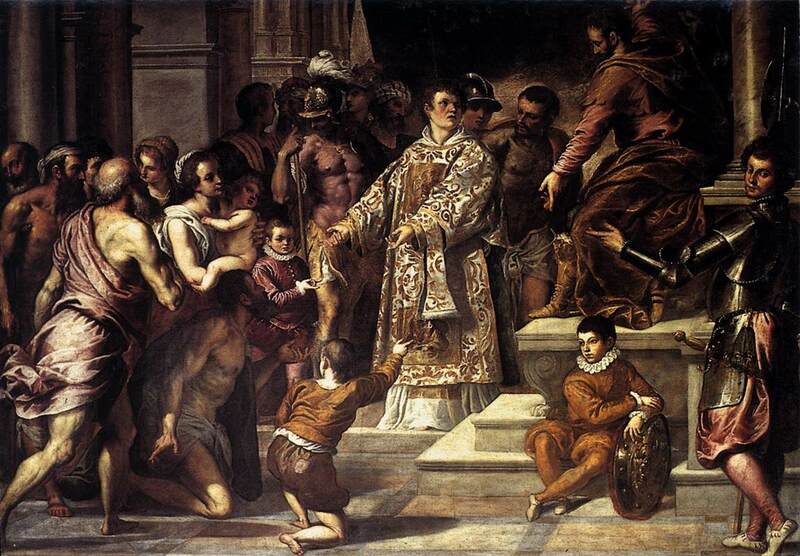 At the sight of the heroism of St. Lawrence, he was filled with the desire to denounce himself a Christian, but he was prevented by St. Lawrence. But when this martyr had gloriously ended his combat, Hippolytus, with the assistance of a priest, named Justinus, buried the sacred remains with great devotion and veneration. The emperor on being informed of it, had Hippolytus seized and brought before him. He asked him if it was true that he had become a Christian? Hippolytus answered firmly: “Yes, I am a Christian, and moreover resolved to die such.” The emperor, who had always highly esteemed him, endeavored, first by promises and then by menaces, to induce him to forsake Christ. As, however, all was unavailing, he caused him to be tortured. He was accordingly stretched on the ground, whipped with scourges, and beaten with clubs so fearfully, that it was believed he could not survive. But God, by a visible miracle, prolonged his life. Keeping his eyes fixed upon Heaven, he frequently repeated: “I am a Christian, I suffer for Christ’s sake.” After having been tormented for a long time, he was cast into prison, and the prefect received the order to behead him. Before executing this order, however, he went to the house of Hippolytus to secure his property. Finding the entire household had become Christians, he took them beyond the gates of the city and had them beheaded. Concordia, an old and holy matron, who had been Hippolytus’ nurse, was scourged until she expired, because she encouraged the others to remain firm in their faith. 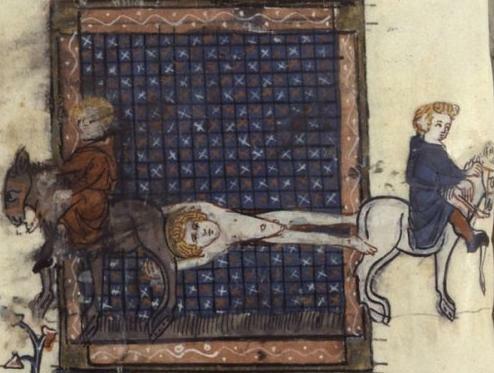 At last, Hippolytus was taken out of prison and fastened to the tails of two horses, and dragged by them until he was torn to pieces, and his heroic soul was in the presence of Him whom he had so fearlessly confessed. On the same day, though at another place, St. Cassian suffered a martyrdom of unprecedented cruelty. This saint, was bishop of Brescia, but had been banished from his See on account of his faith. 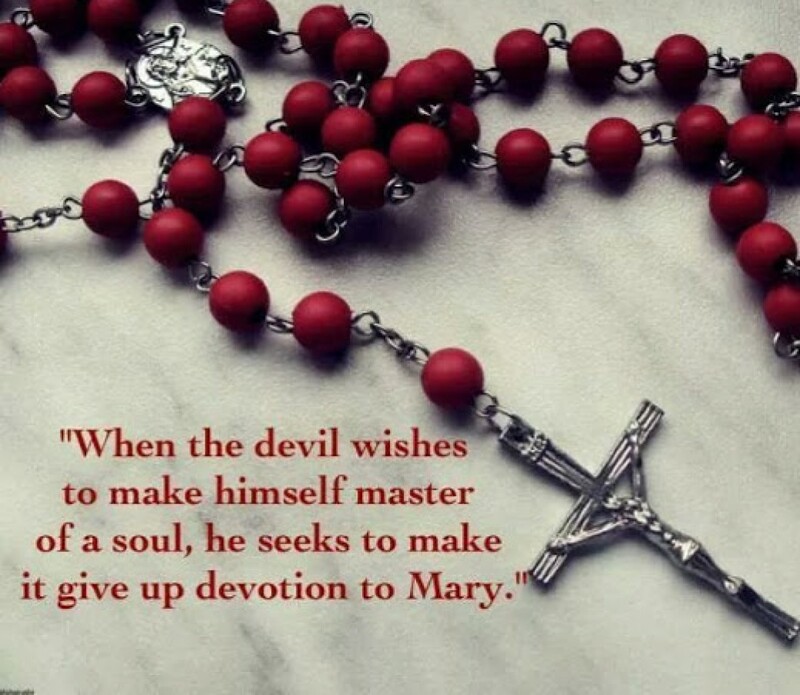 He intended to go to Rome and offer the Pope his services for the salvation of souls in some other place. On his way, he changed his mind, and taking up his residence at Imola, a town in Italy, he resolved to teach children to read and write, hoping that occasion would not be wanting to do good. In this apparently humble position, he was no less zealous than he had been in the administration of his diocese. He taught the children with love and gentleness, and endeavored to inspire them with respect for the Christian faith, fear and horror of sin, and love of virtue and piety. He continued in this occupation with great zeal for some years, to the great benefit of young and old, when suddenly a terrible persecution of the Christians arose. He was one of the first who were taken prisoners. The tyrant commanded him to sacrifice to the gods. 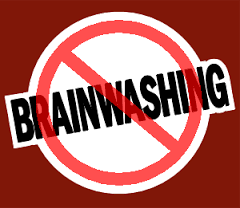 The holy bishop and teacher refused, as might have been expected, and tried to convince the judge of his fearful blindness in worshiping dumb idols or making gods of godless men. The tyrant, furious at his arguments, ordered the executioners to strip him of his clothes and tie his hands behind his back, and leave him exposed to the mercy of the children whom he had taken such pains to teach. 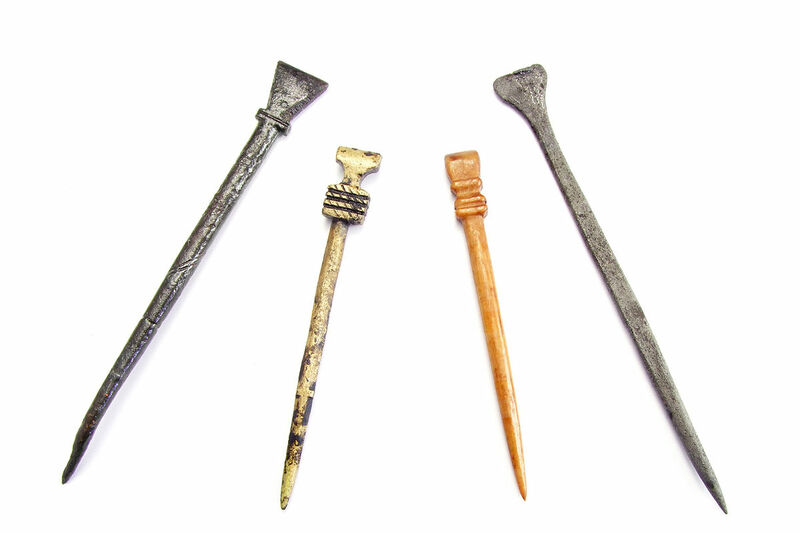 The children, who had been taught that Cassian was a magician and consequently must die a most painful death, took their sharp iron pencils with which, in those days, they wrote upon their wax tablets, and pierced him with them till the blood ran profusely from his veins. This torture lasted long and was extremely painful. The saint, however, never complained of the ingratitude of his pupils, nor gave a sign of impatience, but praised and thanked the Lord until his soul went to Heaven to receive the crown of martyrdom. 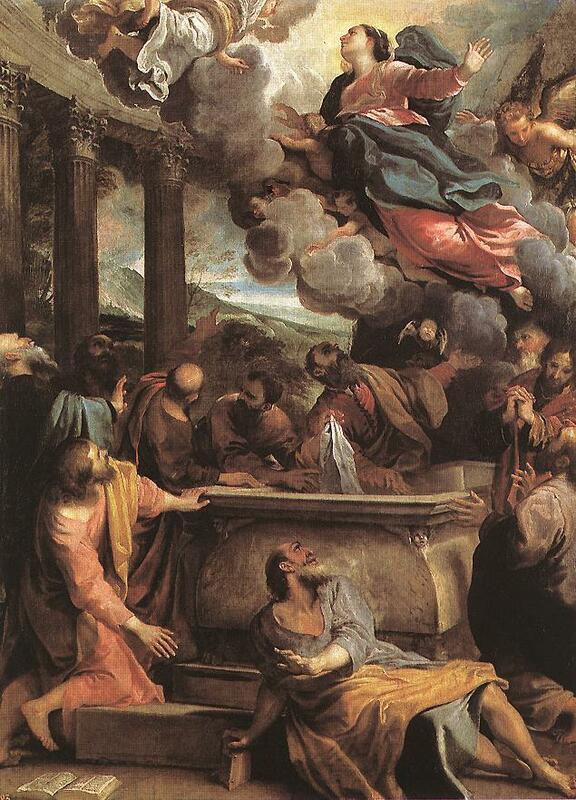 Good and tender Mother, thou shalt ever be our hope and the object of our love. Mother of God, send forth the Holy Angels to defend us and drive far from us the cruel foe. Holy Angels and Archangels, defend and keep us. When my hour of death has come, lead me safely to the presence of Jesus to enjoy the vision of my God for all eternity together with thee. 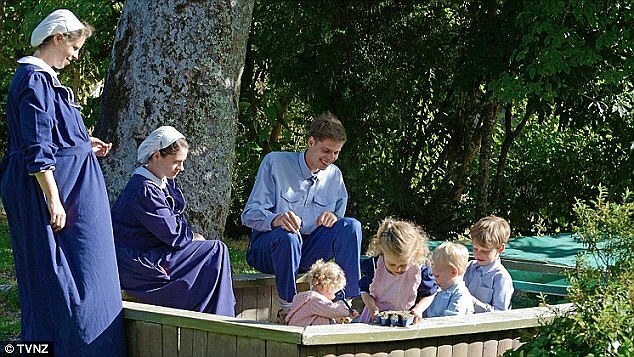 Inside the ultra-conservative Christian cult Gloriavale where women’s lives are strictly controlled and they have no contact with the outside world! 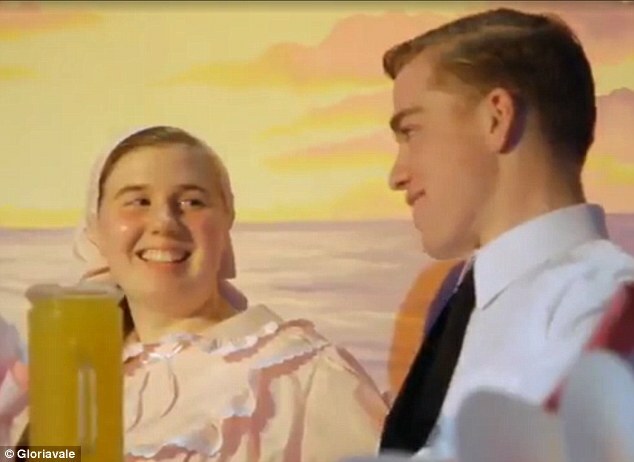 Cooking, cleaning and making babies: Inside the ultra-conservative Christian cult Gloriavale where women’s lives are strictly controlled and they have no contact with the outside world! A documentary has revealed what life is like for women inside a controversial Christian community in New Zealand, whose members are completely segregated from the outside world. 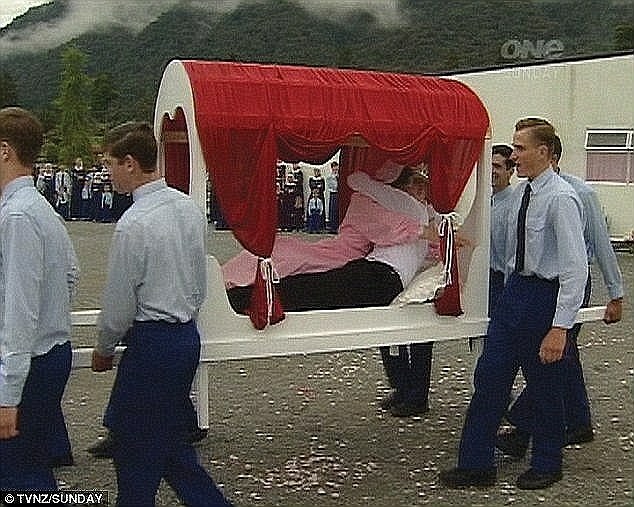 Gloriavale: A Woman’s Place is about a woman’s role in the community of about 500 who live near Haupiri, on the west coast of New Zealand’s South Island. 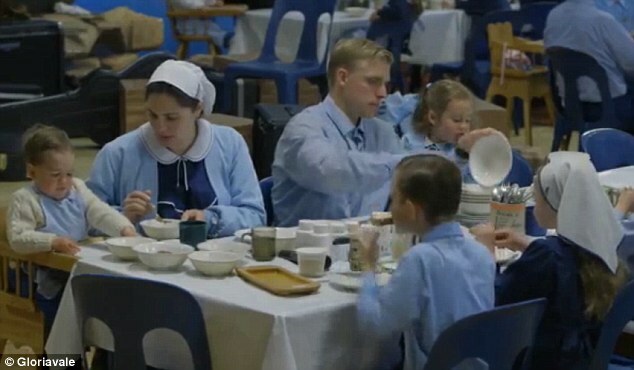 The documentary, which aired on television in New Zealand in July, looks at Gloriavale’s openly submissive female community members and their day-to-day roles, reported the NZ Herald. Couple Dove Love (left) and Watchful Steadfast (right) are featured in the documentary, which examines the role of women in Gloriavale, a strict Christian community in New Zealand which is cut off from the rest of the world. It’s the latest in a series of films made about isolated community by director and producer Amanda Evans and filmed by her husband Ivars Berzins. It examines life inside the male-dominated society, where women are given kitchen and laundry duties while men do more physical work like building or working in factories. Community members have barely any contact with the outside world, their access to media and the internet is restricted, they are only allowed to eat and wear certain things, marriages are arranged by community leaders and if people decide to leave they are ex-communicated. Watchful Steadfast,17, (right) is seen proposing to Dove Love, 22, (left) with a bunch of flowers. Marriages are arranged by community leaders and women are expected to accept the offer. The couple is married and they exchange vows – where the woman promises to submit to the man and the man vows to be a leader. Afterwards, they embrace before being carried to a consummation room where they are expected to lose their virginities. The documentary focuses on a few women in particular – 22-year-old Dove Love who is a kitchen manager and preparing for her upcoming marriage to 17-year-old builder Watchful Steadfast. Dove Love is doing the washing for everybody in the community, when Watchful Steadfast arrives her her house with a bunch of flowers as a marriage proposal. She admits she didn’t know she was getting married until hours beforehand. Once the couple is married and they exchange vows – where the woman promises to submit to the man and the man vows to be a leader, they embrace before being carried to a consummation room where they are expected to lose their virginities. The documentary also looks at another woman, Angel Benjamin, who is pregnant with her sixth child and believes women were put on earth to bear children. The documentary also looks at another woman, Angel Benjamin, who is pregnant with her sixth child and believes women were put on earth to bear children. Director Amanda Evans told the NZ Herald she feels inner turmoil every time she visits the community. ‘Sometimes I think, ‘That’s so cool. Isn’t that lovely? Ten minutes later, I think, ‘Oh, I could never live like that.’ She said she has wrestled with the turmoil, but believes if the tables were turned, Gloriavale’s residents would feel the same conflict if they were to document her life. Members of the community are reportedly happy about having no contact with the outside world, and are said to be disgusted and disdained about how society lives. ‘If they came and stayed at our house they’d feel some things were cool, and others [would make them think] we were terrible sinful heathens with no moral compass at all,’ Ms Evans said. ‘It’s easy to make judgments. I will feel like I’ve done a good job if, whatever opinions you bring to the documentary when you see it, there will be moments when you feel conflicted.’ Members of the community are reportedly happy about having no contact with the outside world, and are said to be disgusted and disdained about how society lives. The community’s Leader Neville Cooper set up Springbank Christian Community in 1965 but after the group increased in size, he bought a new property in 1991 and renamed the community Gloriavale, reported Perth Now. The controversy surrounding the community isn’t new, after Mr Cooper, who changed his name to Hopeful Christian, was jailed on sexual abuse charges in 1995.